So a few days ago I was watching a YouTube video (this one by The Vegan Voyager) about vegan cake hacks. 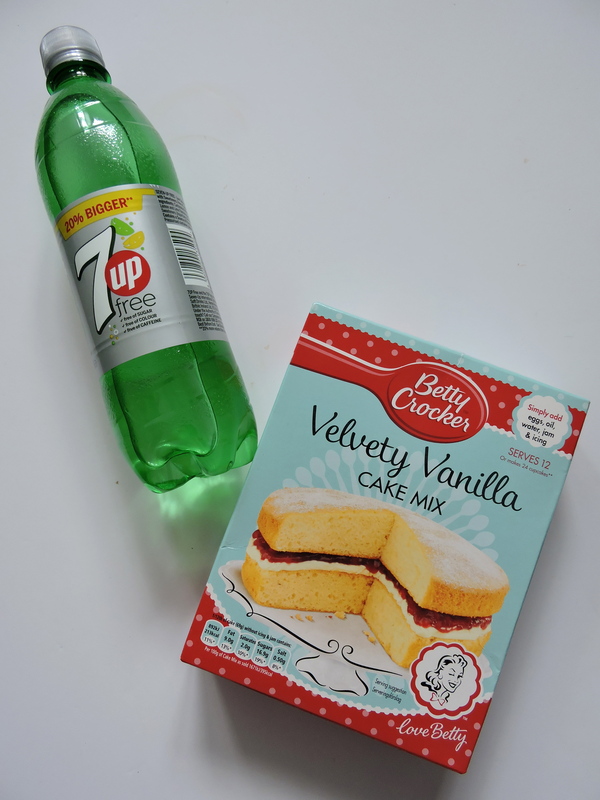 One of the hacks was mixing a fizzy drink with boxed cake mix to create a cake. Now, I was a little sceptical, it just seemed way too good to be true. But I did some more research and found so many different articles on this hack (like this one) that I just had to try it. 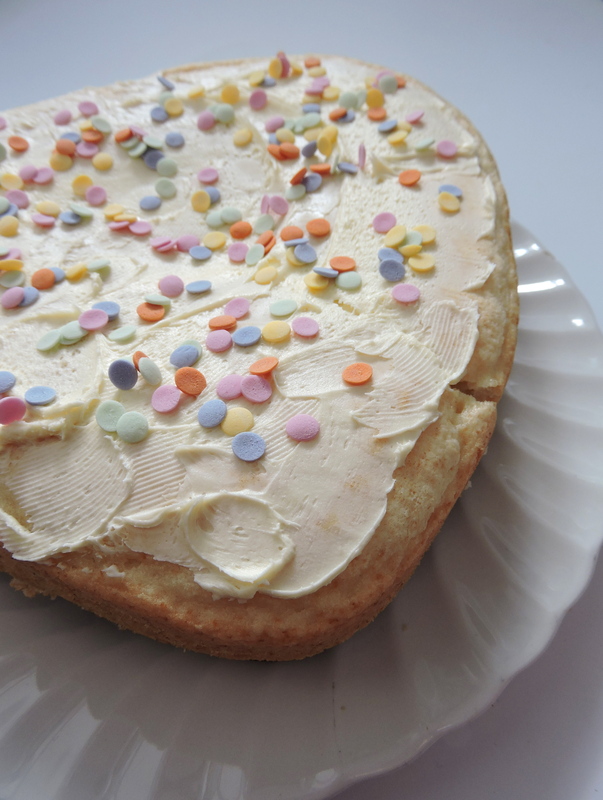 Now I’m all for making cakes from scratch, but sometimes I just feel lazy and want something quick and easy. Boxed cake mix really isn’t that healthy, and adding fizzy drink into it sure doesn’t help, but it’s such a nice treat. I decided to make a classic birthday-style cake mixing just two ingredients: vanilla boxed cake mix and Sprite. *Always look at the ingredients for boxed cake mixes to see if there any animal products in there. But generally speaking, most of them don’t! The instructions are super simple: add the boxed cake mix to a bowl, add 12 ounces (1 1/2 cups) of your chosen fizzy drink and mix. Then just follow the baking instructions on the box and TA DA you have yourself a cake. Choose to decorate your cake any way you like. I cut mine in half and layered raspberry jam and vanilla frosting (this one is accidentally vegan and so tasty! ), and then topped with more frosting and sprinkles. 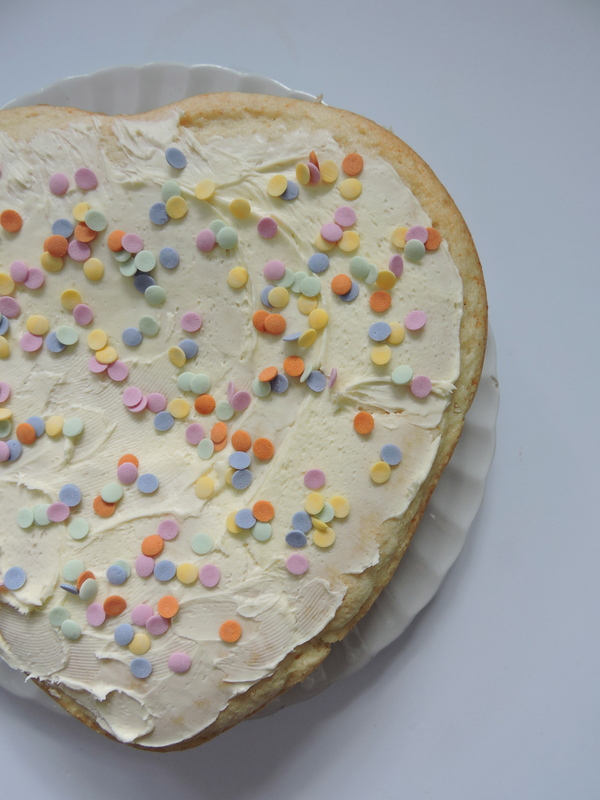 It turned out looking and tasting like that deliciously generic birthday cake. There are tonnes of different combo’s that work for this hack. Because I used Sprite there was a very faint lemon flavour, so experiment with different flavour combo’s that you think will work. I want to try making it with cream soda and ginger beer next, I think that would taste so good. Let me know if you try this out and which fizzy drink you used!